Today’s Guest Post is by Catalyst; as always, many thanks! Despite the romance implicit in George and Ira Gershwin’s song and its pleasant imagery of care, are we content to be ‘watched over’? Is it a comfortable arrangement, one that’s in our best interests? Or is it a step too far in to our personal lives, as some fear? Alternatively, as others suggest, is it a necessary evil, an efficient means of combating fraud? Exactly what does it mean for us today? Back in 1985-87 a controversial proposal for a national identity card was launched. To be labelled the Australia Card, it drew furious protests and heated opposition. Australians baulked at the idea of having to carry identity documents, like those living under some petty dictatorship. Suggested at the National Tax Summit, the Australia Card’s stated purpose was to stop tax avoidance, as well as health and welfare fraud. In 1986, the Hawke Labor government attempted to get the legislation through the house; but met fierce opposition in the Senate. Frustrated by repeated attempts to pass the legislation, Bob Hawke asked the then Governor-General, Sir Ninian Stephen to call a double dissolution of parliament. This was granted and Australians went to the polls. After the July 1987 election the Hawke government was returned, but still with a hostile Senate. Before a joint sitting of parliament could be called to pass the legislation (Labor had the numbers), a drafting flaw was identified, which meant the bill was withdrawn. And the proposal was not revisited. 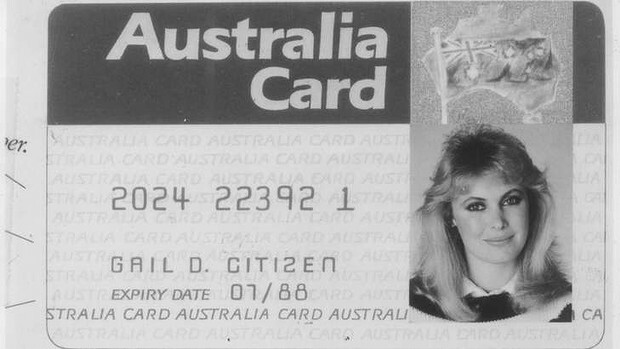 The identity card idea was not to resurface until 2005, when then Prime Minister John Howard floated the suggestion again, in the wake of the London bombings. He suggested such a card would combat terrorism and also tighten immigration controls. Despite this, the proposal did not win sufficient support. Shortly after the rejection of the initial Australia card proposal in the 1980s, the Tax File Number system was introduced for all working Australians. It identified the worker, remaining with them throughout their working life. It could also be used to check a person’s eligibility for welfare. And then there is the Medicare Card, which began with a scheme introduced by the Whitlam Labor Government in 1975 called Medibank .This was planned to provide more affordable health care for everyone. It was to allow free treatment for patients in public hospitals, paid for by a small levy, but with low income earners granted an exemption. Hospital costs were to be shared equally between the Federal government and the states. The concept aimed to provide a fairer system, to spread the costs, and to be easier to administer. The scheme was rejected by the Senate on three occasions: 12 December 1973 and August and December 1974. After a joint sitting following a double dissolution election, the legislation was passed and became law 1975. A few months later Malcolm Fraser was elected and ordered a review of the programme The findings were not made public, but he embarked on changing how Medibank would work, essentially undermining it. In 1976 the Fraser government established a private health fund called Medibank Private. Numerous changes followed, tinkering at the edges of the publicly popular programme. Perhaps the most insidious was the ability to opt out of paying the Medibank levy by taking out private insurance. With the election of the Hawke Labor government, Medibank was saved from further changes and returned to its Whitlam-inspired roots. It was renamed Medicare in 1984, perhaps to better represent the concept of what it was intended to do; provide care at a time when most people are feeling vulnerable . Throughout the 1980s the Coalition niggled about Medicare. The 1983 election might be best remembered for John Hewson’s attempts to explain the GST, but changes to Medicare were also in the mix. Bulk billing remained a permanent subject of contention. By 1993 it seemed all sides of politics had accepted the inevitability of bulk billing and it remained basically unchanged throughout the Howard years. Other changes to health policy, such as the 30% private health insurance rebate were brought in, to counter the decline in health fund membership. It remains to be seen what changes to health care may be proposed by the Abbott government, though recently, some ideas have been rumoured. Up until now, the Medicare Card has worked as a de-facto identity card. It is especially important for those people who do not have a drivers licence. Big Brother is Watching YOU! But Who Cares? It is my contention that what we were not prepared to do by compulsion- carry identity cards, we have embraced voluntarily, so allow me to explain what I mean. Almost all adults and a majority of children carry an identifier with them at all time. What’s that? Despite about 80% of households having a fixed phone line, it’s the mobile phone. According to Roy Morgan research 88% of the population aged over 14 years owned a mobile phone in 2011. We can assume that the figure is probably higher now. A mobile (and a smart one at that!) is seen as an essential in everyday life. And every year phones have more enticing and clever applications, designed to tempt even the most luddite amongst us. Roy Morgan reports that even the over 65s have a mobile phone uptake of 72%, while the 25-34 age group had the highest proportion at 95%. The Australian Bureau of Statistics reports on children’s mobile phone usage. It finds that single parents are more likely to let their children have a mobile phone (38%) as it enables them to stay in contact with family. Younger children are less likely to have phone than the key 12-14 age group (76%). Once acquired, it’s a convenience few will wish to relinquish .I know of one father who offered his 20+daughter $100 in exchange for giving up her mobile for one day. She refused. What many people forget is that when the phone is switched on your every move can be traced. Even when it’s switched off, apparently it still possible to trace a mobile .The United States security agency NSA reportedly can do so. No one will guarantee that even if you take the battery out of the phone you will be undetectable. And of course as many phone scandals have demonstrated, you can be eavesdropped on, your conversations monitored and possibly logged. Assuming you are not a terrorist, does it matter? Should it matter? We presume our governments are benign, and do not mean their citizens harm. But are we being corralled like sheep? What protections do we have under law? There is the Office of the Australian Information Commissioner (OAIC) with powers to regulate the Privacy Act 1988, as well as the Freedom of Information Act 1982. It operates under the auspices of The Department of the Attorney General. The OAIC has the authority to investigate complaints about the possible mishandling of personal information by Australian, Norfolk Island and ACT government agencies, as well as private sector organisations. It is also responsible for investigating and reviewing decisions made under The Freedom of Information Act. New controls over who can access to information and what they must tell you are due to come into force in March 2014. Details are available on their website. Enquiries have revealed that the OAIC is currently unaware of any proposals to cut its funding. 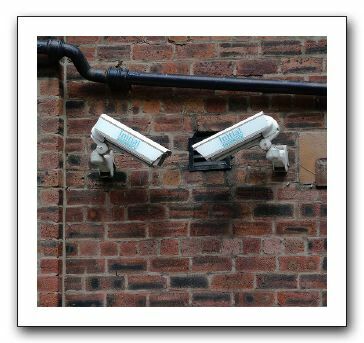 Time will tell if the situation remains, potentially they could be busier than ever, as there is more erosion into our privacy – by supermarkets, by websites – which might be more fully explored in a further post. Thanks for the reply re HST. I’ve read a fair amount of his shorter journalistic pieces & the account of his assault on Las Vegas, none of the other novels, haven’t put the thought into his style that you obviously have but yes, he could create impressions with words. There’s a particularly evocative & I reckon thoughtful piece at the end of H.A. describing a thrash down the California coast in dead of night. As an acquaintance he must have had something as plenty of people associated with him. Perhaps a good buddy but a poor next door neighbour. I woke this morning to read that the Republic of Indonesia has planes that can reach the shores of Australia, and was also reminded (because I was reading the comments in the SMH) that Mr Abbott and the majority of Australians do not live in Western Australia. Also that RI seems to have a predilection for hanging on to the western halves of islands, like Timor and Papua, and that Australia is essentially just another big island. At least now that the rest of the world has had it confirmed that Australians were stupid enough to elect Mr Abbott’s party at the connivance of certain stake-holders, they may actually find a way to mitigate the damage to other countries. I fear we are going to be in for a hard time though. I saw a doco looking at pre 1980’s Kabul. The fashions looked very western. Women mingled with men and miniskirts were not rare. Lots of women studying at the university. All in all it looked pretty modern . Not a burqa in sight. But Ronny Ray Gun thought better a religious fanatic than Red so we funded the jihadi Mujahedeen. The fact that Abbott made a fool of himself – yet again – on the international stage has received wide-spread coverage but that frog-faced harridan at The Guardian – La Murphy – still thinks he’s dreamy. If you get a chance, check out the body language on display by David Cameron during their little fireside chat. Can’t find a link, though. You’ve all seen it on your buses, trains and trams when the town drunk gets on and starts yabbering. Cameron’s lean was at least 45 degrees away from the Abbott. I find it incomprehensible that any female should find PM Blood Oaf dreamy. He would give them all dry dreams! Watching Shorten and Albo at a presser in Melb on rail infrastructure. One talks in fairly bland cliches, the other with passion and style. No prizes for guessing who. It stands out like dogs balls. I have just about given up on 24. Had any experience with a 900cc bevel? No. I had an 850 for a while. A visiting friend borrowed it for a ride around and wrote it off in the middle of Norwich – thankfully only a broken collar bone. Not insured, of course, but anyway. It was shaping up well but only had 5,000 miles on it. I’m sure the last thing I said to him before he set out was ‘Watch out for cobblestones’ but maybe he had the helmet on by then. My garage seems to have been taken been taken by the Italians at the moment – Termigoni exhausts everywhere. (Some photo in Ned’Sids e-mail – post if you want). To my mind24 is totally pro Abbott- Fiona that is good news about your mum- convenient but separate.. Also I have been attempting to change gravatar- but WordPress still had me at my previous email- so I’m having problems. Thank you. I think it will work out well. I’ve just had a brilliant but wishful thought: if only one could bottle PM Blood Oaf one would corner the emetic market. Better than ipecac any day! While researching a comparison between Indonesian and Australian Armed Forces I came across this article by Hugh White published in The Monthly in June 2013. He argues the imperative of establishing and maintaining good relations with Indonesia and why we could not rely on help from the U.S. if conflict occurs. I am amazed at the number of people who seem to think Indonesia would be pushover if conflict does occur. Brilliant about your Mum, almost like a granny flat. Unbelievable, the poor bloke couldn’t get away fast enough. That should have been plastered all over every tv………..
That happened to me, I just put in old email address and bingo it works (if you can remember the old one, of course. Here is a comparison of military strengths, Australia v Indonesia. The Idiot is a liar? Who knew! The claim: Tony Abbott says asylum seekers who come to Australia are attempting to break Australian law. The verdict: Mr Abbott is incorrect. Australia recognises people’s right to seek asylum and entering Australia without a valid visa is not a criminal offence. Back after I mow the yard with my new mower.